Immerse yourself in this epic adventure full of engaging and fun activities. Take on fierce monsters and live players in combat to demonstrate your skills. Mine, craft and build your way through the game as you explore all that it has to offer. Getting started off in such an in-depth MMO can be quite overwhelming due to all the things there are to do but Albion Online takes care of this with a pretty informative tutorial sequence that’ll cover all the basics like combat, building houses, customizing your character and much more. The great tutorial is also coupled with the fact that leveling early on is quite easy so new players will made to be feel right at home which is a commendable accomplishment for a game this packed. The gameplay itself seems pretty much endless; there’s exploration to be done, items to be crafted, battles to be fought, monsters to be eliminated and this list can just go on and on. 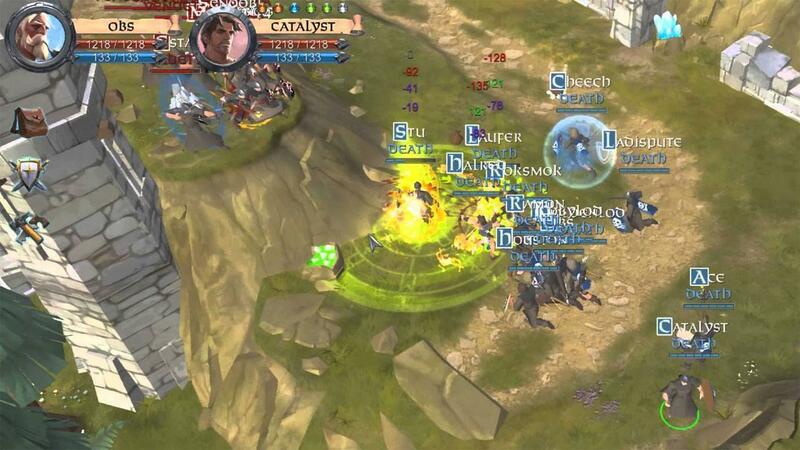 One twist that Albion Online makes to the traditional formula is that it completely gets rid of the class system. There are no set in stone classes to choose from which gives players complete freedom to build their character with the equipment and the skill-set that is according to their liking. It’s quite hard to pull off such a system due to all the balance issues involved but somehow everything just works nicely and leads to an experience that’s actually quite better than the classic style. To make customization even better and more convenient that it already is, there’s a feature known as the destiny board which completely highlights all possible paths your character can take from its current state which allows players to plan ahead easily and not make mistakes with their build. Combat has also been executed quite nicely and definitely feels skill-based rather than the simple ‘spam spells in hopes that your opponent will die’ style. What makes combat more intriguing is the fact that since players can build their character in tons of different ways, this makes it so that you can’t predict what kind of skill-set your opponent will which leads to fights that are a lot more intense with all opponents figuring out how to counteract and exploit any weaknesses in the enemy’s play-style. Something that really sets Albion Online apart from the crowd is the ability to build your very own house. This might seem like a simple gimmick at first that hasn’t been fully seen through but there’s actually quite a lot to it. Players can build the structure according to their liking, buy furniture of various different kinds to place in their house and even place special decorations that can have helpful bonuses on their character. 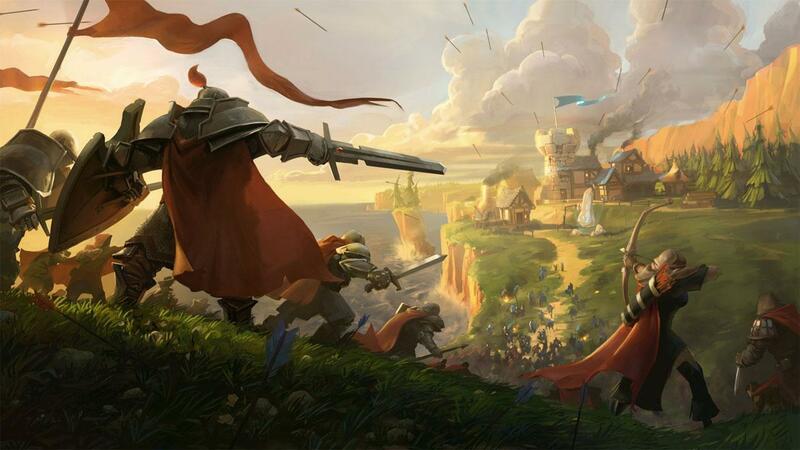 In terms of looks, Albion Online follows the fantasy art style that’s become a common trait in many popular MMORPGs and it works quite nicely overall. The textures are fairly sharp and the character models are really high quality but the main highlight would have to be the amazing spell/ability animations that truly make the game come to life during the massive guild vs. guild battles where players are going at it with all they have. As of right now, there isn’t such a thing as a cash shop in Albion Online but this is something that’s sure to be implemented later on as the game reaches a more developed stage. 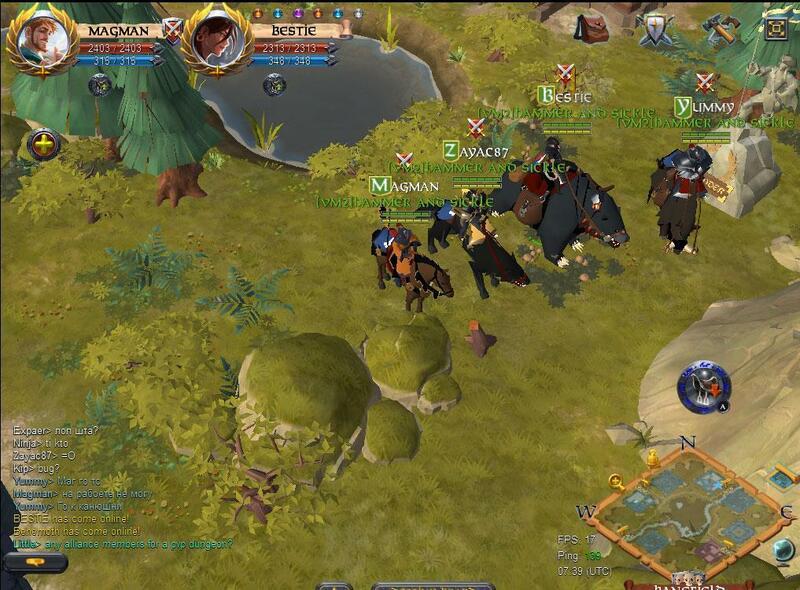 Albion Online is a distinct MMORPG game that anyone can get hooked on simply due to the sheer amount of things to do.